Just been watching a film called 'Russian Ark', remarkable if only for the fact that it was shot entirely in one day, on a Steadicam, and in one continuous shot. Not entirely sure what it's all about but all respect to the crew and the cast, you can only guess at the logistical nightmares that kind of shoot would entail, not to mention physical exhaustion, as they were on take four by the time they got it in the can. To make matters worse, the director only spoke Russian and the DoP only spoke German so they were both followed around by a translator. Must have been a fascinating day. 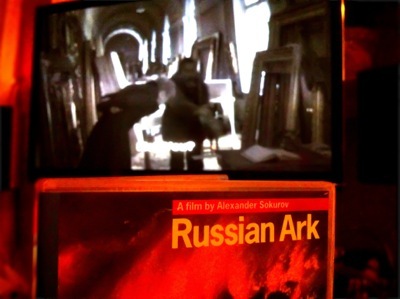 Directed by Alexander Sokurov. DoP and Steadicam by Tilman Buttner.